“People often ask me, ‘Are you still painting oak trees?,’ and I reply, ‘Only when I want to.’ When I paint them today it’s like visiting an old friend. 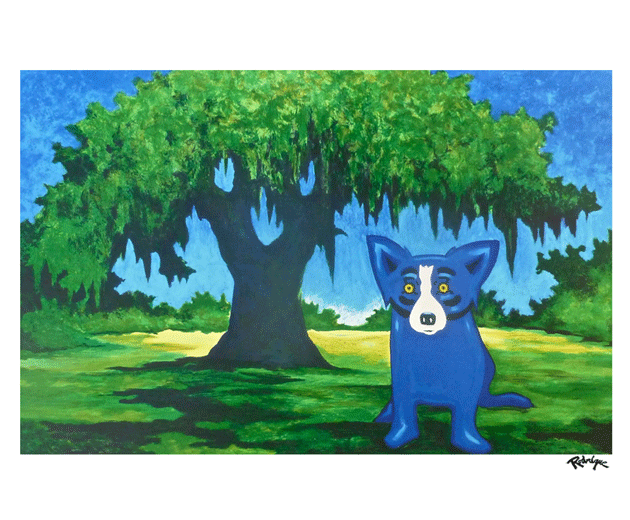 As with real friends, this reunion gives me pleasure.” –George Rodrigue, Nov. 2012. Read more about this striking hand-pulled stone lithograph, printed in Paris, France. 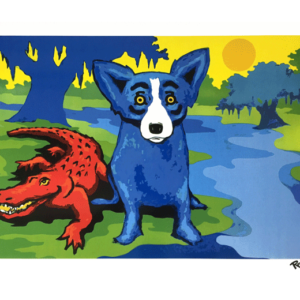 Note: Although Rodrigue printed this edition, he did not complete signing it. 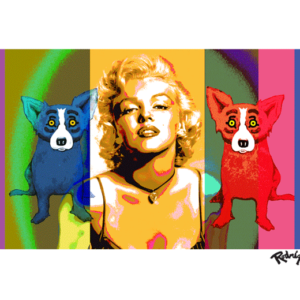 According to the appraisal firm, Matthew Clayton Brown, there is a well-established precedent for completing an artist’s edition posthumously —-notably with editions from the Estate of Andy Warhol concerning artwork Warhol had created but not yet signed upon his death. In other words, this is not a new print. It is the original Rodrigue edition. 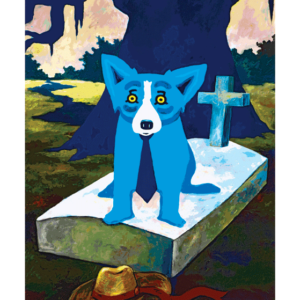 Because Rodrigue did not complete signing the run, his estate is completing the numbered series using his official estate stamp, picking up where he left off, with #51/90. 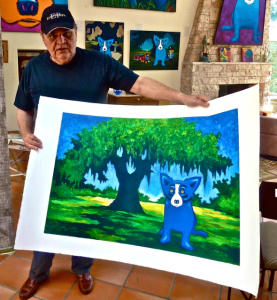 A Certificate of Authenticity with each print will reflect this signed/numbered distinction, as well as the fact that this is an original edition created in 2013 by George Rodrigue.